American Family Association Launches Nike Boycott - Joe.My.God. 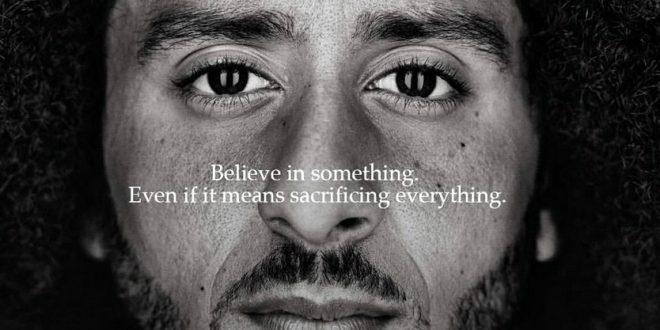 Nike announced on Monday it would make former NFL quarterback Colin Kaepernick the face of its “Believe in something, even if it means sacrificing everything. #JustDoIt” ad campaign. This is unbelievable! Kaepernick is the person who started the kneeling protests during the national anthem during the 2016 season, which lasted into last season. As Dallas Cowboys quarterback Dak Prescott has said, the national anthem is not the time or place to protest any perceived social injustice. It a moment to stand together as Americans despite our differences. The display of American flag and the playing of the national anthem is to honor our country as a whole and to respect the men and women who serve and have served in our military to protect our freedoms and our way of life. Nike could have chosen from many star athletes who love our country, or even a non-athlete such as a war hero who lost his life truly making the ultimate sacrifice for our country. The fact that Nike would choose Kaepernick is a slap in the face to millions of Americans. Let Nike know what you think about this! TAKE ACTION: Sign our petition pledging you will not buy Nike products for your family as long as they use Kaepernick as one of the faces of their new ad campaign.